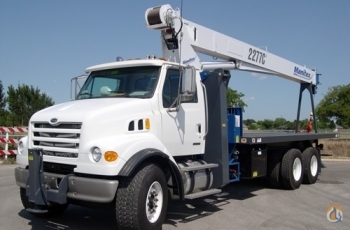 Hydraulic Machinery, Inc. is the Southeast's largest truck-mounted crane dealer. More than just a sales and rental company, we pride ourselves in our ability to keep our customers coming back due to our extensive parts inventory and fleet of service trucks manned by factory trained service technicians. We offer a complete line of truck crane, hydraulic crane and forklift attachments to make your equipment more versatile. If you cannot find the specific item you are looking for please contact us. We provide: Detailed Written Estimate, Service All Brands of Equipment, Factory-Trained Mechanics, Flat Rate PM Programs, Forklift Operator Safety Training, Annual Crane Inspections, Onsite Repairs & PM's, Manufacture Flatbeds & Crane Pallet Forks, Unmounting/Remounting of Cranes.